The white frost decorative glass film used in the hallway is 3M Fasara Luce. 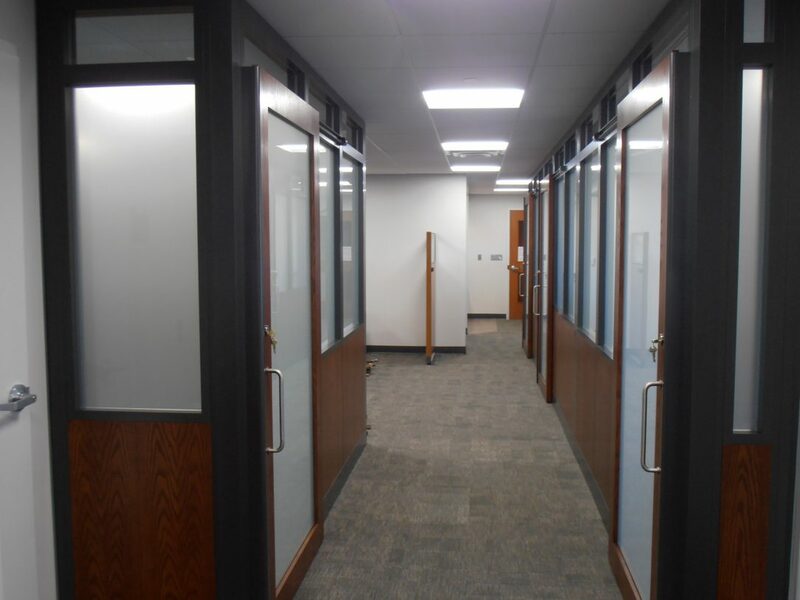 The project was at American AG Credit and they wanted to add some privacy to the offices as they felt like the glass created a fish bowl effect. They wanted to address the problem with a decorative film that would look classy and not project a cheap look.